I do not think that many of us know a lot about Afghanistan. And what most of us know is from one book. It is by a young British officer-scholastic, Rory Stewart, who seized people's attention with what some might call a travelogue. If The Places in Between is a travelogue, so is Democracy in America. Still, if Rory is of a type, he compares with Wilfred Thesiger, three generations earlier, also a Brit with aristocratic bearing and blood and the luck to be there in command when a significant military event was about to happen. Both had pens, very sharp pens. Both had travelled among the marsh Arabs and outwards, east and south, in the world of Islam. Stewart and Thesiger came to mind when I saw, this week, the long aquiline face of John Kerry on the front pages of four, maybe five American newspapers. The dateline was Kabul. And he, the chairman of the Senate Foreign Relations Committee, was doing the work of the secretary of state. I don't mean to scratch up any dust between between. But Afghanistan requires the patience that cannot be nurtured nor indulged in the trips Mrs. Clinton seems to prefer. Seven African nations in eleven days, the not-forgotten pace of ego-boosting campaign stops. 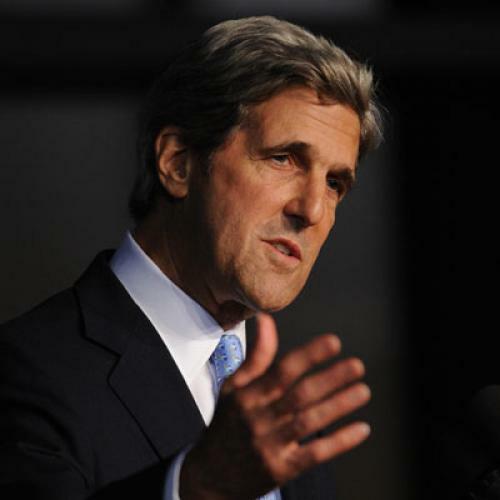 Kerry, some observers say, is too cautious. Someone with less caution or who let his caution to the winds would have been out of there in a day or two...and without an achievement to his name. The pace of modern diplomacy, I suppose, would not permit the month-long Cairo-Jerusalem-Damascus shuttles of Dr. Kissinger. But, then, there would not have been such quiet--quiet interspersed by killings, too be sure--on the borders as there has been. Kerry's Kabul's agenda was to explain why the U.S. could not commit unless the Pashtuns and Tajiks (and the rest, like the Baluch with their gorgeous asymmetrical carpets) would accept the minimal legitimacy of the government. And unless they acknowledged it it would not be acknowledged in America. But for this he had to listen and to learn their grievances against us, going way back into the Bush administration. I certainly have no inkling as to what President Obama will decide. But if there is an opportunity for the U.S. and its allies to make a major and sustained commitment in Afghanistan, the opportunity was paved by Senator Kerry.